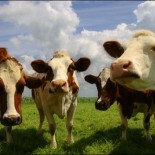 Sales of veterinary antibiotics for use in both farm animals and companion animals are falling across Europe. A report from the European Medicines Agency (EMA) shows a fall in sales of 2.4 per cent between 2011 and 2014. The report looks at sales of veterinary antibiotics in 28 countries from the European Union (EU) and the European Economic Area (EEA) plus Switzerland. Despite the drop in sales, the Alliance to Save Our Antibiotics maintains the data shows continued overuse and poor practice in most EU countries. The Alliance says that many European countries are failing to put an end to massive overuse of antibiotics in farming and the use of antibiotics in Europe remains more than twice as high in animals as in humans. The Alliance refers back to the O’Neill Review on antimicrobial resistance, commissioned by the UK government, which recommended that high-income countries should aim for a short-term target of 50 mg of antibiotic per kg of livestock. “However, the EMA shows that the average European level of use is over three times higher at 152 mg/kg,” he Alliance says. The EMA says that the European Surveillance of Veterinary Antimicrobial Consumption (ESVAC) for the year 2014, the sixth report on the sales of veterinary antibiotics in Europe, sees three more counties reporting sales of these antibiotics than in the previous year and highlights a continuing downward trend. In addition, the overall quality of sales data has improved throughout the years, the EMA says. “The trends give reassurance that Member States continue to adopt a more responsible attitude towards the use of antibiotics in animals,” says the EMA. A total of 25 countries have provided data for the entire time span of 2011-2014 and the EMA says that a decrease of 2.4 per cent in total sales (mg/ population correction unit – PCU, PCU meaning the estimated weight of livestock and slaughtered animals) of antimicrobial veterinary products was observed between those years, despite a considerable increase in one of the European countries in which the most sales were registered due to an improvement in data collection system. In 24 of the countries that provided data for this four-year period a decrease of 12 per cent was seen. “The substantial decline in the sales of antimicrobials for food-producing animals observed in some countries indicates that there is also a potential for a decrease in other countries,” the EMA says. “Despite low overall decrease in sales of veterinary antimicrobial products, data demonstrate that actions taken in the fight against antimicrobial resistance by the Member States are making a difference. The EMA said that the drop in sales and the differences in the figures between countries could be put down to the implementation of responsible-use campaigns, changes in animal demographics, restrictions on use, increased awareness of the threat of antimicrobial resistance, and/or the setting of targets. “The reduced sales of veterinary antimicrobials in some countries indicate that there is potential for a decline in other countries, too,” the report says. “A large difference in the sales, expressed as mg/PCU, was observed between the most- and least-selling countries. “This is likely to be partly due to differences in the composition of the animal population in the various countries (e.g. more pigs than cattle). “Furthermore, differences in the production system may play an important role. “Amongst other factors, there is also considerable variation in terms of daily dosage and length of treatment between the various antimicrobial agents and formulations used, and other factors must also be considered. This entry was posted on October 19, 2016 by agedchrisharris in Cattle, Meat, Pigs, Poultry, Sheep, Uncategorized and tagged antibiotics antibiotic resistance, EU, Health, sustainability.